Millennial shopping habits had a major impact on the U.S. economy for several years. Born between the years 1980 and 2000, Millennials are aged 18 to 38 right now, although the date ranges may vary depending on who you ask. They’re also the second largest demographic population in the country — 74.9 million to Baby Boomers’ 75.4 million. This generation has always been an influencer when you think about it. The kinds of cars families bought, the groceries they ate, the restaurants they visited and so on, were often impacted by the wishes, wants and needs of Millennials. Now that they have jobs, families, and their own income, they’re reshaping the way we shop, buy food, communicate and share information. We’ve previously discussed in the past how Millennials have transformed the grocery industry, creating a bigger demand for organic and fresh foods and lower demand for pre-packaged food. 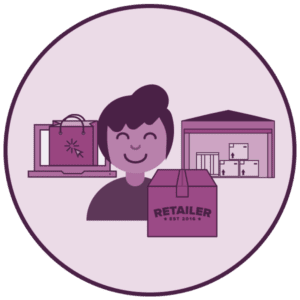 Here’s a bit more about what kind of impact are they having on the retail and shipping landscape, disrupting our entire industry and reshaping the way we all do business. For one thing, mobile phones are more than just phones, they’re little computers, which is why 89 percent of Millennials use mobile to connect online versus 75 percent who use laptops, 45 percent with tablets, and 37 percent with desktops. They use social media as a way to hear about products from friends, ask for recommendations, read reviews and check out customer testimonials. They share their own opinions about what they bought, liked and didn’t like with their friends on social media as well. This means retailers not only need to have an online presence with an e-commerce store, but they also need a social media presence that lets them promote their products, listen for complaints and compliments, and to respond on those same channels to manage customer service and satisfaction. Another Forbes article, This Is How Millennials Shop, says that Millennials are 72 percent likely to look for a coupon during an online purchase, taking as much as three minutes to track down the coupon. When you consider that most people expect the buying experience to be quick and easy, taking three minutes shows a significant commitment to saving money. While quality, local sourcing and ethical and sustainable production are important, those all come in a close second when there’s a bargain to be had. Millennials have a strong desire to be seen as unique, so logo-wear of the Abercrombie and Fitch days are out, one-of-a-kind Steve Buscemi face pattern print leggings are in. This also contributes to the growing trend of consignment stores. They tend to have a more one-of-a-kind appeal, and marketplaces like eBay make it easy to find the vintage corduroy bell bottoms that will never be in a store. 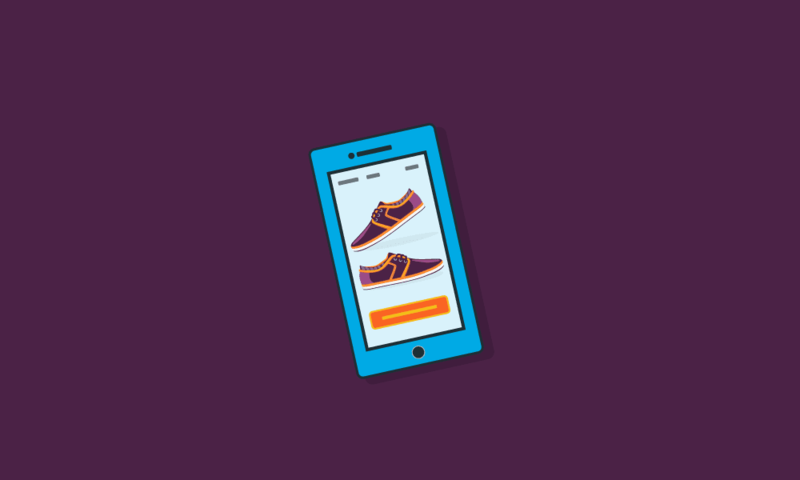 While mobile technology may be a major arrow in the Millennial shopping quiver, Accenture says that many Millennials still want to see, touch and even smell their purchases, so they haven’t forgone the in-store shopping experience. However, they want their immersive, unique in-store experience to match an immersive, unique online experience as well. This is where omnichannel strategy becomes such an important part of any retail shopping experience. Shoppers want the in-store experience to be like the online experience, which is like the mobile experience, which is even like the shipping experience, down to the packaging and forms that accompany their orders. Companies need not only to take this into account, but they also need to work with drop ship-capable vendors who can use the retailer’s packaging and paperwork. If they’re already price conscious, don’t be surprised if they decide they take advantage of free delivery on top of low prices. This is part of why Amazon Prime has been such a big hit among many Millennial shoppers, and why Walmart and Target see success with their own free two-day delivery programs. One advantage Amazon has in earning brand loyalty is by basing their sales model on offering price and convenience. By providing an immersive online and mobile experience, not to mention the introduction of their first store and last year’s purchase of Whole Foods, they’re well on their way to offering a significant omnichannel experience for their shoppers that was built on the online experience first. Moreover, because they like things to be easy and fast, Millennials are also taking advantage of buy online pickup in-store (BOPIS or BOPUS) if it means getting an order faster than two days. While it’s not as easy as waiting at home for two days for free, it’s certainly a benefit when time is a factor, say, in buying gifts or making emergency purchases. While Millennials are often accused of “killing” one industry or another, the truth is they’re just not shopping and spending the same way their parents did. As technology evolves as this generation grows older, and their buying power continues to increase, we will continue to see significant changes take place –– especially in the retail, grocery, and restaurant industries. If you want to learn how to ride the Millennial shopping wave and keep up with what this generation is going to do to the retail industry, please visit the SPS Commerce website for more information. You can also speak to one of our retail experts to identify some of the upcoming trends we’ve seen on the horizon.